Mouthguards are an essential safety component when playing contact sport! Athletes are at a much higher risk of damage to the teeth and gums leading to tooth loss or significant long term damage. At Weston Dentistry we provide high quality custom made mouthguards that will perfectly fit to your mouth, making them extremely comfortable and more effective for protection. We have a range of colours that you can choose from that can match your sporting colours or those of your favourite team! The stock mouth guards that are purchased over the counter are usually ill fitting and can cause difficulties with breathing, swallowing and communication- all essential components during sport! As they also don’t adapt well to the teeth in the case of a collision they will not provided the much needed protection. Due to this we always recommend getting custom made mouth guards for optimal protection. Don’t wait for an accident to happen! 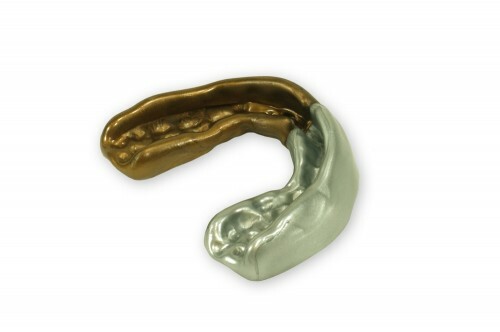 Contact our team at Weston Dentistry to get your custom made mouthguard today!